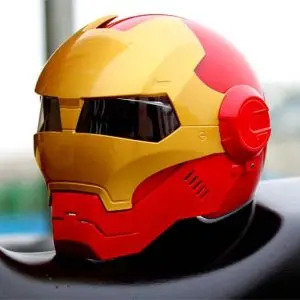 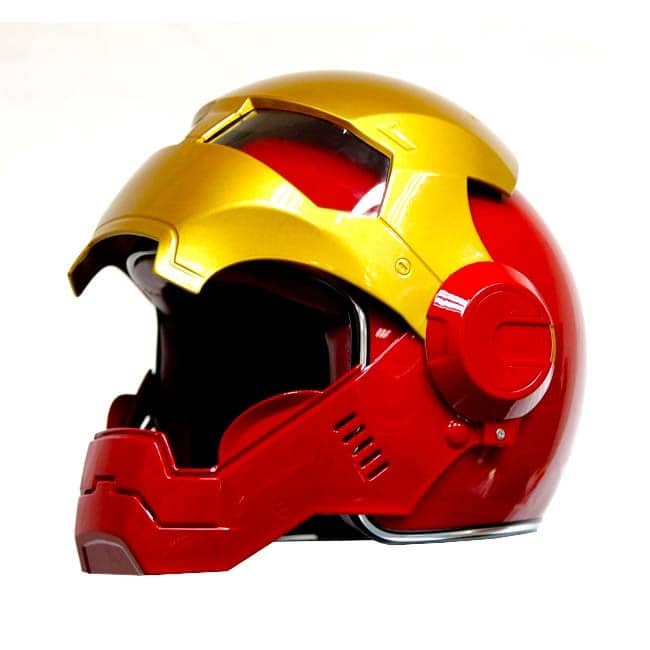 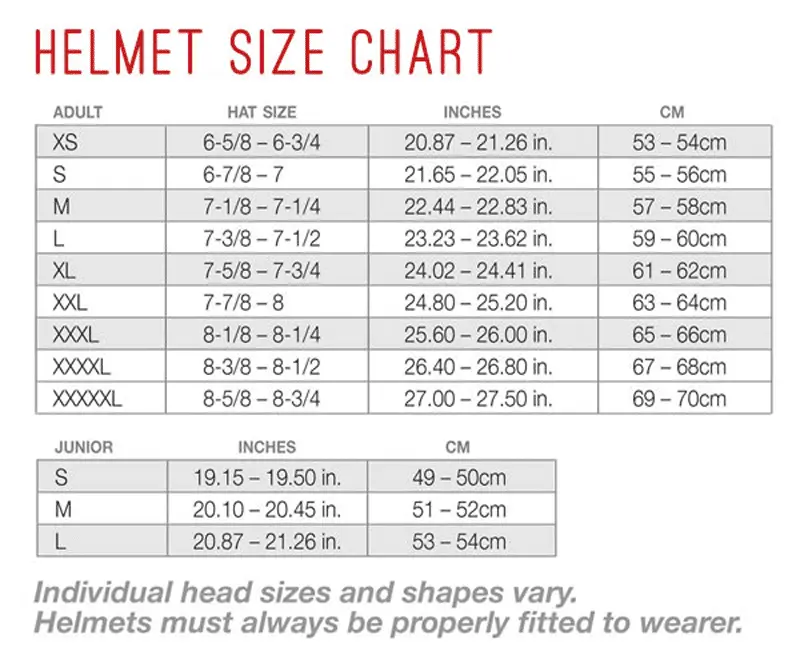 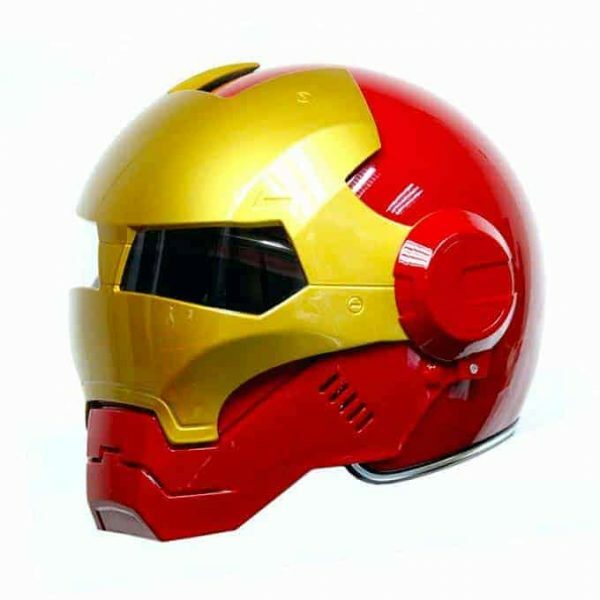 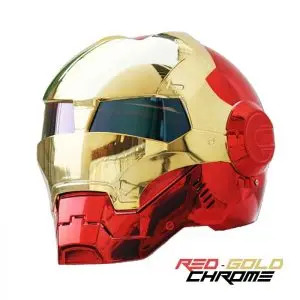 The IRON MAN Motorcycle Helmet Red-Gold is a real masterpiece and high-quality motorcycle helmet with DOT certification. 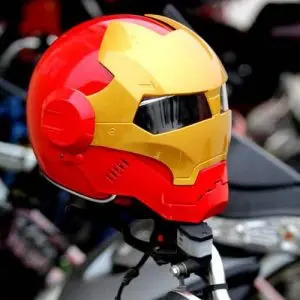 If you are searching for a fashionable and comfortable modular flip-up helmet, the Iron man Motorcycle Helmet perfectly fits the bill. 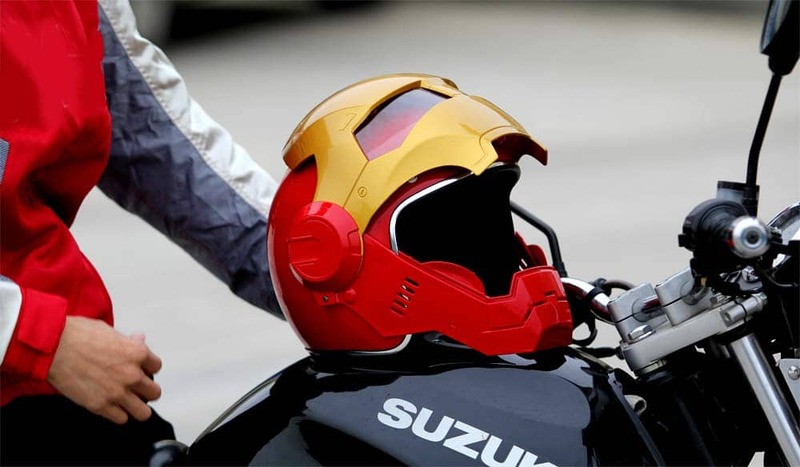 Made with love by and for the ironman fan motorcyclists and marvel geeks. Tinted Visor Shields Available (Mirror/Gold/Rainbow/Darksmoke) for US$45.00 for each additional visor shield.